Rhubarb is a big deal in Minnesota. Since our natural growing season is so short, rhubarb is often the first thing any of us are able to harvest. One of the first signs of spring is rhubarb, and Strawberry Rhubarb Pie is our favorite way to use what we harvest. Just give me a second. Let me restate how big of a deal rhubarb is. This is a satisfied farmish girl holding her first harvest of the season. I could stare at these rhubarb and strawberries all day. Couldn’t you? Okay. To the recipe. Gently combine the first six ingredients (rhubarb through the cinnamon) in a large bowl. Brush the pastry edge with egg (this will help seal it) and roll the top pastry on top. If you’re fancy or crafty or obnoxious like me, you can cut out some shapes before you do this and then your husband will know it is a pie baked with love. Seal the edges and brush the top with egg. This will give it a nice sheen when it’s all done baking. Now take this pie in its pie plate and put it on a baking sheet. Why? Because that yummy filling you just put in the pie might bubble out of the pie and then you will have a mess. It’s better to have the mess on the baking sheet than on the bottom of your oven. Bake this pie at 425 for 15 minutes. Then reduce the oven temp to 375 and bake the pie for another hour. Let it cool, cut a piece for everyone in your family, and serve up the love baked in a pie. Enjoy this yumtastic pie. What’s your favorite pie to have for a special treat? Let me know in the comments. 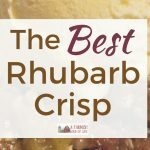 Easy recipe for strawberry rhubarb pie -- one of our favorite spring pies to make! 1 pastry for a double crust pie, 9"
1. Gently combine rhubarb, strawberries, sugar, cornstarch, lemon juice, and cinnamon in a large bowl. 2. Place one of the pie crusts in your pie plate. Spoon rhubarb filling on top of it. 3. Brush the outside edge of the bottom pastry with egg. 4. Cut six small slits near the middle of the second pastry (or cut fancy shapes out) and then roll the second pie crust on top of the rhubarb filling. 5. Seal/pinch the edges of the pie crusts together. Brush the top of the pie with egg (if you want it to be shiny). 6. Bake at 425 for 15 minutes, then reduce heat and bake at 375 for another 50-60 minutes. 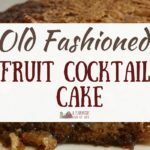 I am so glad for this recipe and the photos! When I was young, my aunt made a wonderful strawberry rhubarb pie. 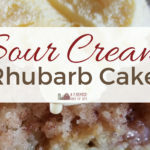 I’ve always wanted to eat it again…but am not so familiar with rhubarb. I’ve pinned this for later. I want to give this a try!